Yesterday was beautiful in southern Ireland – a great day for me to show Bee some places that are among my favorites. I’d like to show them to you too! Curraghmore is the home of the Marquis of Waterford, a home that’s been in his family since the Vikings arrived about 1000 years ago. 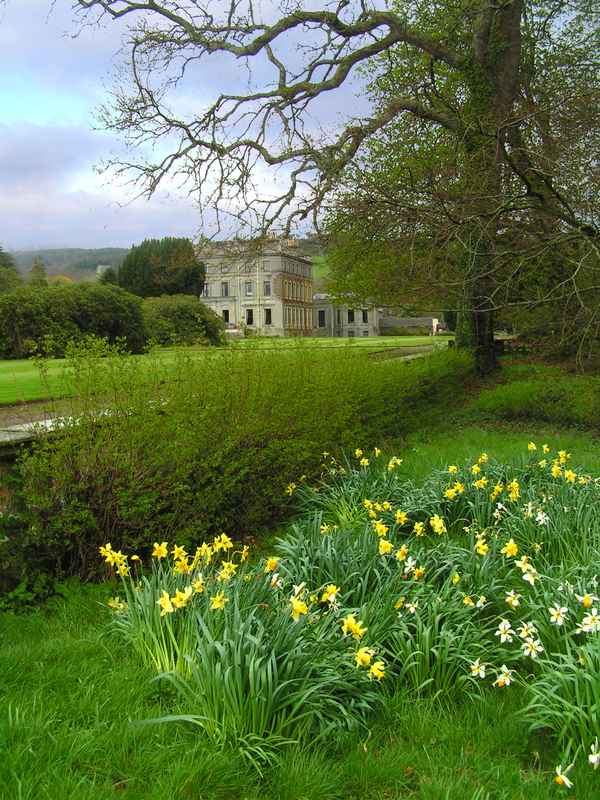 It’s an enormous estate, located on gently rolling hills west of Waterford city near the town of Portlaw. The manor house has been built so that it’s attached to the original Irish tower house. It features a famous sculpture of a stag with a crucifix on its head. I love driving down the mile or two of dirt road, past the house and the small river, and to the huge dairy barns. The scenery could not be more pastoral. 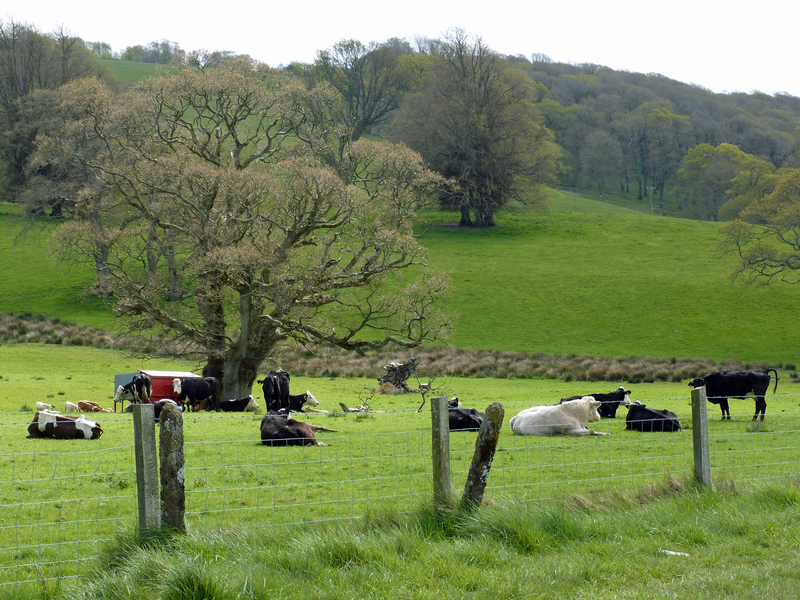 Cows and sheep are grazing here and there. Recently Curraghmore has become much more visitor-friendly. Learn more about touring it by clicking here. The white “cow” is pure bull! 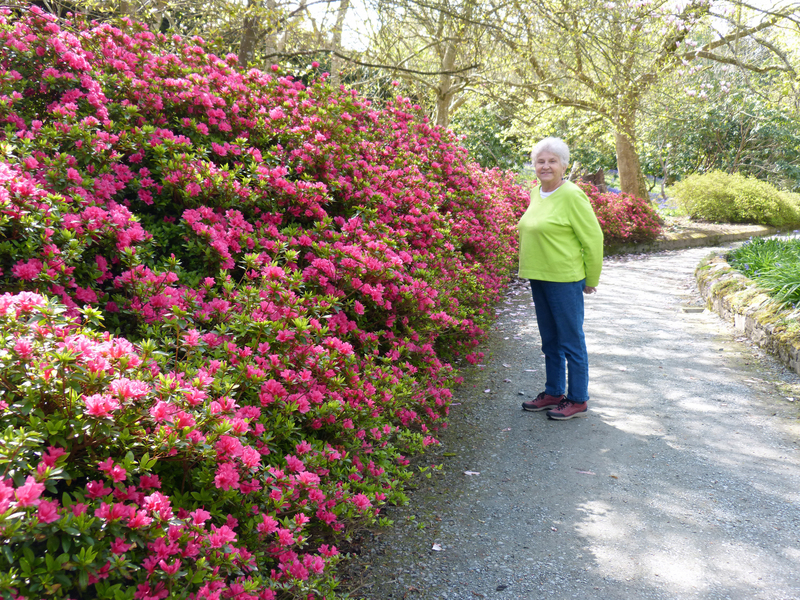 Bee and the azaleas at Mount Congreve. A way with veggies to be remembered! Today’s going to be another beautiful day and we’re off to enjoy it! 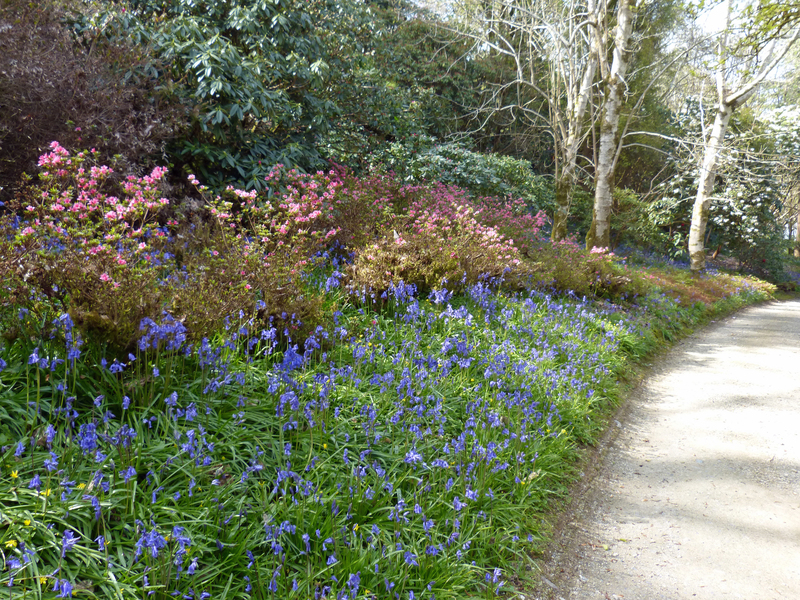 This entry was posted in Ireland, Southeast Ireland and tagged Curraghmore, Mount Congreve by Libbie Griffin. Bookmark the permalink. Loving reading of your adventures and seeing the beautiful pictures. Please tell Bee that I said HAPPY MOTHER’S DAY! Bee and I hope you’ll keep reading about our adventures. 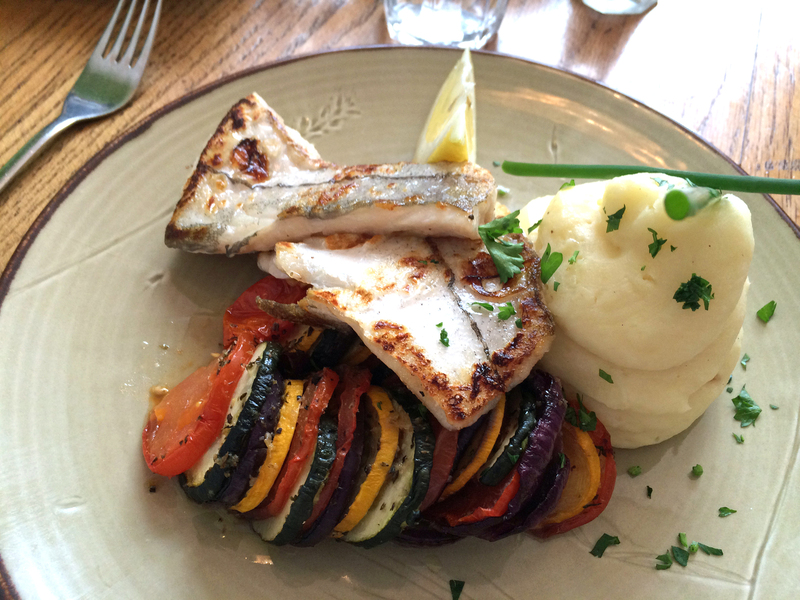 Beautiful photos and gardens….and gorgeous ratatouille. 🙂 Glad to see that you have some sunshine and to hear that you and Bee are having such fun. Great Blog, capturing the true Ireland! Got lucky with the sun though! You are right about the lack of sunshine. The first couple of weeks I was here each morning was sunny — until the clouds rolled in for the rest of the day. Now it seems to be the opposite: gloomy mornings followed by afternoon sun. But I love being here, no matter what the weather. Thanks for your comment and for reading my blog. Thanks for visiting my site and leaving a comment. You are right about the sun, but I’ll take Ireland in any kind of weather!